Estonian Smart City Cluster is designed to create an innovative environment in cities, which will boost the competitive ability of companies by bringing together businesses, citizens, public authorities, R&D institutes and structures that support innovation. The cluster will focus on the creation, development and exporting of innovative solutions taking in different spheres of urban life. Port of Tallinn announced a planning competition for the Old City Harbour long-term development vision in order to find a comprehensive solution that will become the basis for real estate developments in the harbour area and the connection of the urban and public space with the harbour’s functions. Port of Tallinn has the aim of bringing more urban development to the harbour area and making the area easily accessible and attractive for both passengers and citizens. Vincent Callebaut is a Belgian ecological architect. He designs futuristic-like ecodistrict projects, which take account of several aspects of sustainability (renewable energies, biodiversity, urban agriculture). His futuristic design is part of a greater vision to help European cities transition their built environments towards a post-carbon future. His latest projects are: Tour&Taxis.Energy-Plus Masterplan, Metamorphosis of the Gare Maritime and construction of 3 Vertical Forests, Brussels 2016; Agroecology and sustainable food systems growing up around wooden & timber towers, Jaypee Greens Sports City, New Delhi 2014-2020; PARIS SMART CITY 2050: 8 prototypes of energy-plus towers eco-conceived to fight against climate change, Paris 2014-2015. The Explorer commercial building, developed by Capital Mill, was issued the LEED Platinum certificate for energy-efficient building, making it officially the greenest building of its kind in Estonia. The very positive feedback received from users of both buildings shows that Capital Mill has set the bar very high in the port area that is becoming the heart of Tallinn. The port area has to be worthy of its role both in content and in form. It must be a calling card. Introducing a temporary space usage project based on Port of Tallinn’s port area example and giving a bigger picture of developments of pop-up themes and their usefulness. The tour includes a visit to cruise area and a demonstration of Smart Port solution (an automated check-in and traffic leading system). Meeting place: Port of Tallinn head office, address: Sadama 25. 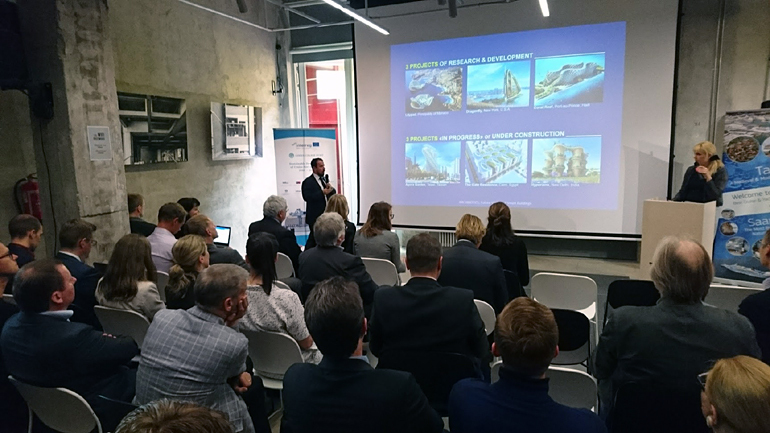 The third workshop seminar organized under the Green Cruise Port project of the EU Interreg BSR Programme 2014 – 2020 was held in Tallinn, Estonia, on Thursday 18th and Friday 19th of May 2017 on “Modern Cruise Port Architecture”. The first day of seminar, held at the Estonian Centre of Architecture. focused on topics of smart city, smart buildings and smart terminals. The second day’s focal points were various smart solutions of cruise industry and expectations to ports and destinations from cruise lines’ perspective. During the seminar, different maritime industry and architecture experts presented case studies and best practices in port development and planning with a modern, sustainable and smart approach. 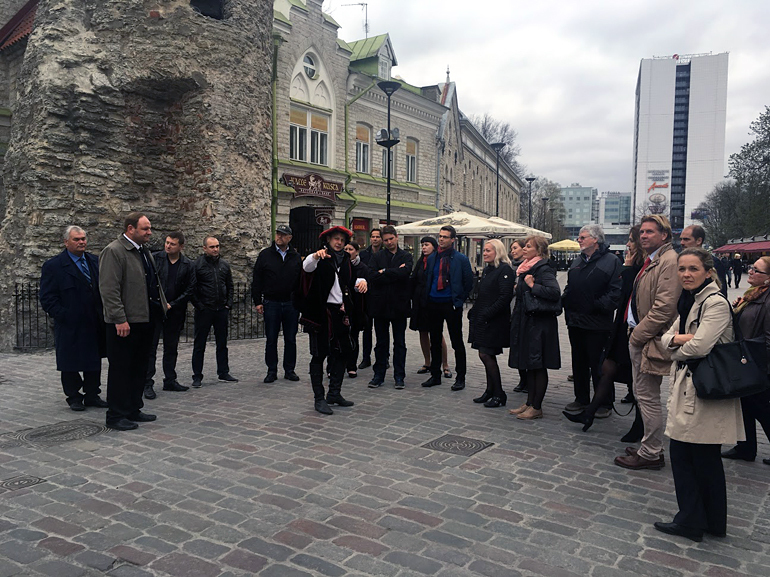 The participants, which totaled of 75 experts and stakeholders, also visited the Tallinn Cruise quay area, where a new and smart cruise terminal is planned. The seminar was opened by introductory note by the Head of City Office of the City of Tallinn, Mr. Toomas Sepp, who stressed the importance of digital and smart solutions for any modern city wishing to offer its citizens and visitors the most urban environment for living, work and leisure. He stressed the importance of providing as much public services as possible through digital channels thus reducing any potential bureaucratic bottlenecks for citizens and businesses alike. As noted by Head of City Office of Tallinn – a city recognized as among the 7 most innovative cities in the world five times – today’s challenge lies not anymore in providing the public with smart solutions but instead building an intelligent city – city whose citizens actively use the smart solutions provided to them. Please download the complete Final report by clicking on the download button on the right side of this page.